Coral Restoration Foundation Bonaire Receives Onetime Government Funding | Dive Industry Association, Inc.
Bonaire, Dutch Caribbean (September 5, 2016), Coral Restoration Foundation Bonaire is happy to announce it received a onetime funding from the Dutch government to further develop the foundation’s activities. The CRF Bonaire project started in 2012 with the original support of Buddy Dive Resort Bonaire and the Coral Restoration Foundation USA. The foundation’s main goal is to increase awareness of the need to restore coral on Bonaire. Increasing involvement of the dive community, developing a world class nursery site to attract international attention and increased production of corals and the development of at least four snorkel accessible sites to increase visibility and generate income for the foundation. All this will eventually lead to the most important objective; develop a more structural manner of funding and become a financially independent foundation. Today the foundation consists of three partners; Buddy Dive, Eden Beach and Harbour Village and is depending on the resources of these partners. With the government funding the foundation can purchase some important basics like a dedicated CRF boat and car and make a big step towards becoming an independent, financially self-supporting foundation. The first step has been made, with the purchase of a dedicated car. Another investment the foundation would like to do with the funding is to set-up a restoration site accessible to snorkelers at the cruise terminal. By creating awareness and extending accessibility the foundation hopes to involve more tourists, other than only divers. Other individual donations and the ‘Adopt a Coral’ program will stay vital to the further development of the foundation into the future. So far the Coral Restoration Foundation Bonaire installed 4 nurseries, consisting of 70 trees with a hosting capacity of 9000 corals. More than 8000 corals have been already transplanted back to the reef and thanks to the Government Funding the foundation will plant 4000 corals more within the next year. A PADI Coral Restoration Diver Distinctive Specialty Course was developed in order to train volunteers and already 350 divers received their certification. The goal is to increase these numbers and doubling the transplanted corals in the next couple of years. 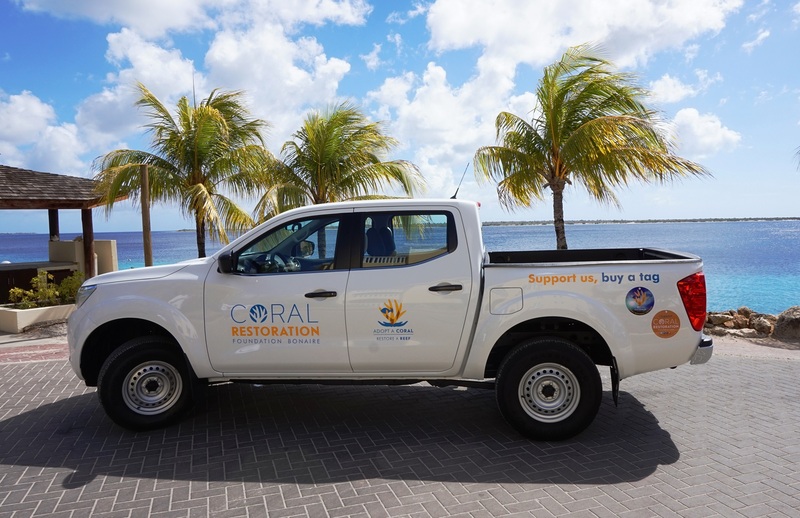 Coral Restoration Foundation Bonaire (CRFB) is a Non-Profit Organization founded in 2012, when Ken Nedimeyer of CRF USA was invited to visit the island to work with and assist Bonaire with their continued efforts to preserve Bonaire’s greatest assets, its reefs. In February 2012, the Bonaire government together with the Bonaire National Marine Park, granted a permit to a local dive operator to start the CRF Bonaire Pilot Project. The project centers on the restoration of the shallow reefs by establishing staghorn and elkhorn coral nurseries and restoration sites. 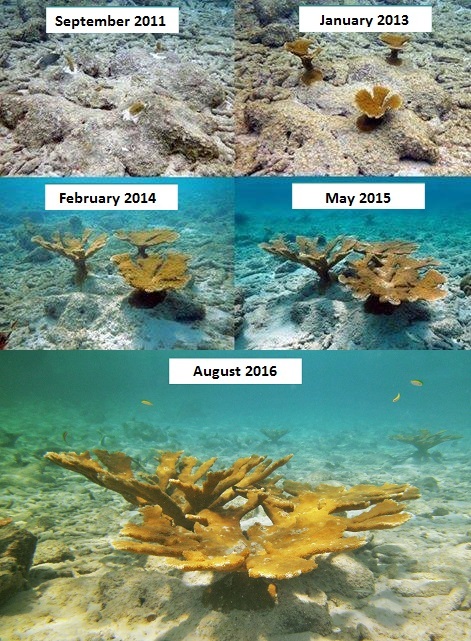 The mission of the Coral Restoration Foundation Bonaire (CRFB) is to develop affordable, effective strategies for protecting and restoring the shallow water population of staghorn and elkhorn corals along the coastlines of Bonaire and Klein Bonaire. CRF Bonaire, supported by the local government and the Bonaire Marine Park, is developing a large scale reef restoration program, promoting awareness and engaging tourists and local volunteers.